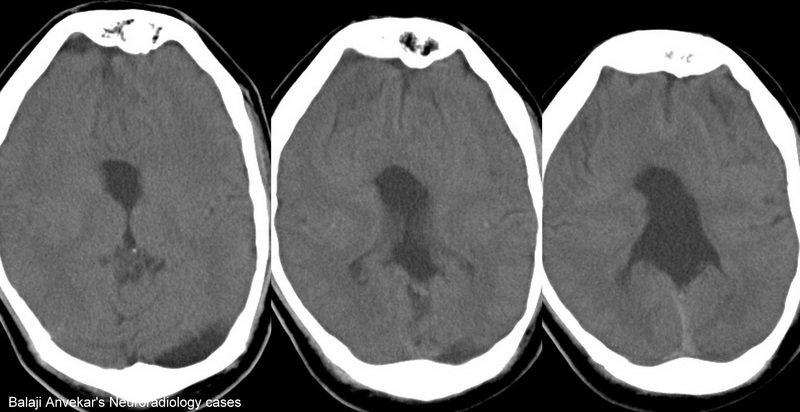 Holoprocencephaly with an associated fused metopic suture /single frontal "plate" of bone. Best diagnostic clue is Monoventricle + fused (uncleaved) frontal lobes ~ absent anterior midline falx/fissures and Anteriorly displaced Sylvian fissures. Associated with Hypotelorism, fused metopic suture /single frontal "plate" of bone, Azygous / absent anterior cerebral artery (ACA) on MR Angio.